The Netherlands has 3,1 million senior citizens (over 65), a number that will increase to 4,7 million by 2040. In the 90’s and early 00’s, the Netherlands has shifted focus from elderly care homes to supporting senior citizens in their own house. The aim was to lower care cost, but the nett result is that there are too few facilities left for vulnerable senior citizens who need significant or daily care. Care facilities supporting elderly home living, have been hit by budget cuts, resulting in reduced capacity for these health services. Apart from physical care, social care / loneliness is become a very important theme in the Netherlands. As 4th healthcare spender per capita (below Norway, Luxembourg, Switzerland), Netherlands is clearly overspending on healthcare. This, combined with an aging population and urbanization has led to a high interest in personalized elderly care. Supported self-care, self-diagnosis, remote care and informal care team support are among the themes currently in vogue, where wearables, diagnosis and communication tools are used to enable individuals to take personalized care, both curative and preventative. For Finnish providers, this means an opportunity to leverage the experience already gained over the past 10-20 years in Finland. Geriatrics and support informal and formal care teams, training, teaching etc. Cost of care for elderly, patient based care programs. Finland has a very good reputation when it comes to senior care? Many of the themes Netherlands now faces are already commonplace in Finland since the 90s? Geriatrics has become a very hot topic in Holland? Finnish company MariCare landed deals in Netherlands in the first months of entering the market? Dutch Central government will reserve another 200 million for senior care in 2018, mostly spend on care institutions. The local government also has its own budget on senior care, there are initiatives for PPP that are funded by local government, for example Beverwijk's elderly vitality program. Wearables, domotica, etc. are used to leverage senior care in the context of the Participation Law. Every community has initiatives for this. Loneliness is a serious theme that is regularly addressed where all market players are actively looking for solutions. Hybrid nursing houses, private nursing houses, mobile nursing centers, home care facilities are needed in Holland and rapidly built. There is a project ongoing supported by health insurance and banks to provide care to seniors in the remote areas of the Netherlands using innovation. TradeMill has supported various health companies to the Netherlands over the past 10 years, and many members of the TradeMill community are currently engaged in health care projects. 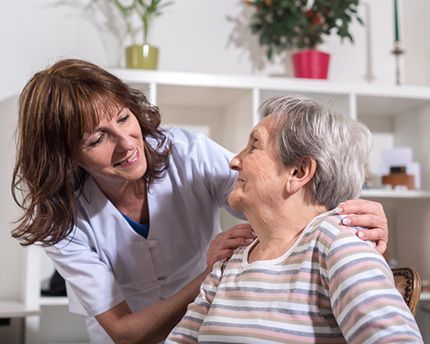 We have people in the network with long experience working with senior care solutions and institutions in the Netherlands, and working closely with healthcare innovation consulting firms to integrate new solutions in projects around elderly care. Contact Petra Wullings for a chat about the Senior Care Industry in the Netherlands, we are more than happy to help you! Keep posted about the business opportunity news in The Netherlands and receive all updated Fact Sheets in your mailbox.